The cryptocurrency miners’ quest for accessible and affordable energy is something that never ends. In recent months, many mining companies have been trying to find suitable locations, covering both energy-rich regions and those that offer free cooling access. At the same time, in places like the US state of New York, the local power utility companies have been fighting with the same companies, asking (and receiving) the ability to charge them more for their energy consumption. All of this makes it very clear that the mining business is only getting more demanding and complicated, just as the rewards also grow. Because of this, it is little wonder that companies are thinking way outside of the box. This includes a tech firm from Australia that decided to reopen a power plant that is coal-based with the purpose of running a blockchain mining network. The company in question is IOT Group which has entered a partnership with another company called Hunter Energy. They plan on recommissioning the Redbank power plant which was previously shut down in 2014. 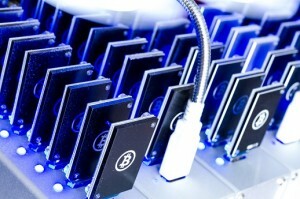 The aim of the move will be to reduce IOT’s energy costs in their crypto mining business. The numbers support the company’s initiative. According to the IOT, the energy bill should go down around 20% when compared to their current costs. Also, the company underlined that this decision was not an anomaly but an overall emerging trend in the cryptocurrency sector and the networks that use proof-of-work blockchains. Here, both systems like ethereum and bitcoin consume waste amounts of energy – experts believe that the bitcoin network is globally using as much power as a country size of Colombia. Thanks to the constantly changing protocols for mining, the difficulty also increases, leading to even more energy expenditures. It will not be long before the bitcoin’s power consumption will be at the level of France and it will only get bigger and bigger. Because of this, the miners can only try to find more affordable sources of electrical energy. Quebec and Washington state are among the top destinations for this purpose thanks to their cheap hydroelectric power sources. However, the problem here is the previously mentioned power utility initiatives that individually boost up the bills to cryptocurrency miners. It looks like the IOT Group has decided to try and cut the middleman from the entire setup and generate its power directly. If the popularity of cryptocurrency continues to rise, it is likely that other companies will do the same and invest bigger at the start of their operation just so they do not have the carpet pulled from under them when the utility suppliers decide to change the rules.